Shenetta Malkia is widely known throughout the Washington Metropolitan Area, Maryland and nationally. She is a spokes person and advocate for suicide prevention and anti-bullying programs sitting on the MD-SPIN advisory board and MD Governor’s Commission for Suicide Prevention. The founder and executive director of Empowerment Essence, an organization dedicated to eradicating bullying and suicide beginning in Maryland & DC communities. Malkia is also a leading clinician and workshop facilitator for community organizations and government agencies. She is seeking innovative ways to grapple a growing problem within communities. As a sought after speaker, Malkia’s voice continues to sound the trumpet for systematic change within schools and social service systems, which often ignores the signs of bullying and suicide. Malkia has been featured on radio, TV, and at community events. She was the key note Speaker for Maryland’s 26th Annual Suicide Prevention Conference, 2014. A native of Queens, N.Y., she attended AIU in Atlanta where she studied T.V & film production. She later matriculated to Bowie State University majoring in Business Administration. Malkia has developed I Matter – Life Matter Film Productions which is dedicated to helping others tell their story and bring stories to life to further public awareness in the area of suicide and bullying. 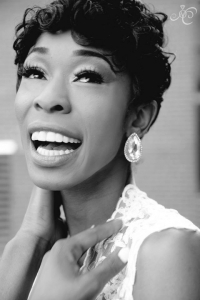 Empowerment Essence was developed during Malkia’s reign as Ms. Maryland United States 2014. This was a must after the death of her beloved friend Gia Allemad and the memories that resurfaced of her own personal attempt. She lives a life of equality, resilience, and strength, reminding all that no matter what you face You Still Matter and Life Still Matters. Don’t Give Up and Reach Out For Help, You’re Not Alone.